The client: Elastic City is a startup based out of New York City. They offer artist-guided walking tours with a difference through New York City. Arrow Root Media handled the management and social media for this project and we collaborated closely. 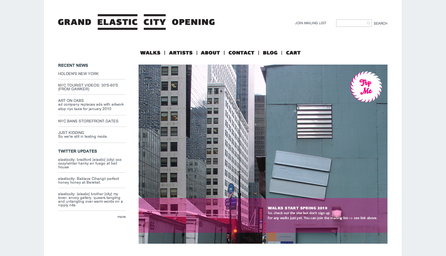 The project: Elastic City required an e-commerce enabled site where they could sell their walks. The site handles payments by credit card as well as paypal, and has many customizations. Their beautiful design is by Lucha Design.